L.O.V.E.+5 is a book “in the making” by award-winning nutritionist and author Layne Lieberman, aimed at today’s health-conscious food lover and home cook. 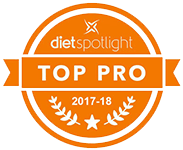 Layne has chosen to identify the five foods, often ignored or shunned by well-meaning vegetarians, that will improve digestion, boost immunity, activate weight loss, strengthen bones, manage blood sugar, control blood pressure and lower cholesterol. So why would anyone want to leave these health-boosting foods off their vegetarian menus? This will be answered when the book is out! 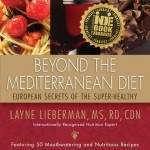 Layne makes a strong case for adding these Fabulous Five ingredients to one’s vegetarian diet, and this book features over 100 recipes showcasing them, from appetizers to main courses to desserts. And for those with lactose intolerance or cow’s milk allergy, she offers equivalent substitutions offered throughout the recipes. Without these 5 key ingredients the body may be deficient in calcium, Vitamin D, complete proteins, probiotics, and other nutrients. These deficiencies can lead to a variety of health problems, including indigestion, weakened bones, heart problems, tooth and gum problems, mental instabilities, and out-of-control weight gain. Physicians agree that lacto-ovo-vegetarian eating can help prolong life and resist or reverse diseases, including the “Big Three”—cancer, heart disease, and diabetes. The author, a dedicated food and health blogger, gourmand, author and nutritionist, invites her readers to sample 100 tasty recipes she has designed for every meal of the day, including thoughtfully-designed smoothies, soups, shakes, muffins, omelets, frittatas, nachos, burgers, salads, lasagnas, spreads and other favorite ethnic foods. Each recipe comes with a nutritional analysis and can provide a base for a well-balanced meal. Layne also provides menu plans as well as a wealth of sidebar tips on how to maximize vegetarian nutrition during the cooking process. For those who follow a gluten-free diet, there are plenty of recipes, such as wheat-free buttermilk blueberry muffins and brown rice Fettuccine Alfredo. There are also kid-friendly recipes like “Cheddar Cheesy Nachos” with a variety of delicious toppings. All recipes emphasize natural, minimally processed, easy-to-find ingredients (including dairy alternatives for the lactose intolerant) and are coded as vegan, low-fat (not more than 30% of calories from fat), low sodium (140 mg or less per serving), probiotic, and gluten-free. 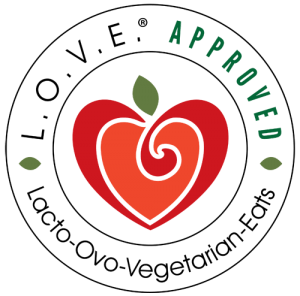 The recipes are easy to prepare and inexpensive, and unlike most vegetarian diets, L.O.V.E.+5 doesn’t limit you to hummus, beans, and tofu! Even the book’s Appendix offers helpful advice, from how to stock your vegetarian pantry and substitute for gluten-free cooking, to a thorough examination of dairy-free alternatives.